- Mahan Air flew to some very nice destinations for the Persian New Year like Colombo, Mauritius, Goa, Sochi etc. - Air Asia asked to launch new route from Iran to Malaysia. 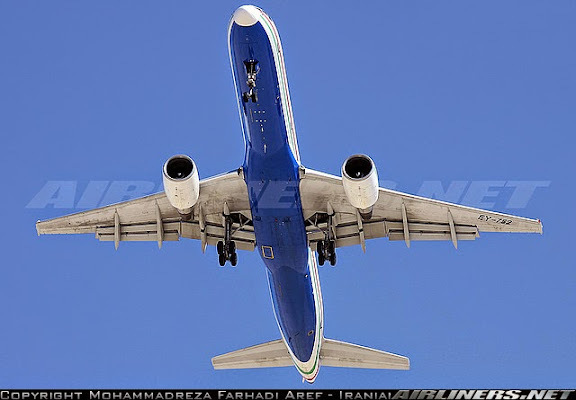 - “More than 47 million passengers with 381,705 foreign and domestic flights in 53 Iranian airports have been conveyed in the past year." - A foreign airline will start Kermanshah-Sharjah route, possibly Air Arabia. - Iranian Naft Airlines sold DHC-6-300 EP-IOP (37 years old) to a Danish airline. It will fly Aarhus-Copenhagen in early-2016. - Taban Air's first fully owned A310 (CS-TEX/EP-TBH) flew from Mashhad to Tehran-IKA on 27APR15 after checks and paint. It made its first pax flight the day after to Istanbul-IST. Special thanks to "amin03" at Skyscraper City forum for a very illuminating list of news news snippets.